MinistryOne™ is the new mobile church app created by people who really get the Church. 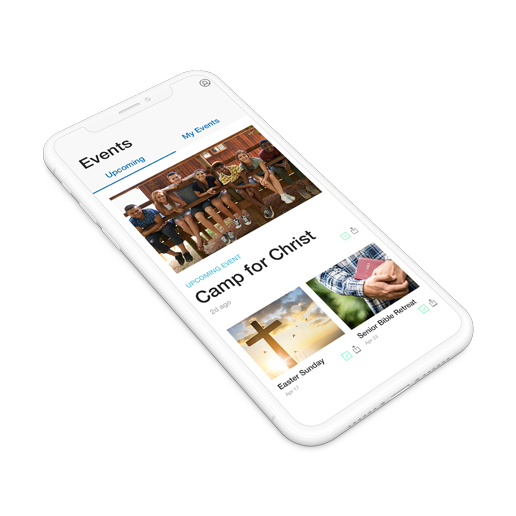 Developed so you can encourage your members to stay engaged any day of the week, this new app has powerful features including giving, multimedia, events, prayer requests, and so much more, it’s never been easier to connect with your congregation! Our desire is to come alongside your church’s mission and provide a solution that integrates with the internal tools you are already using. MinistryOne is an app designed to easily connect your ministry with your community. Completely customizable with your church’s logo and information. Seamlessly integrate sermons for on-demand viewing. Send instantly or schedule messages to alert your community and share news easily. Empower your congregation to give anytime, from anywhere. Easily showcase upcoming events and enable native event registration. Broadcast your services live to keep your community engaged.